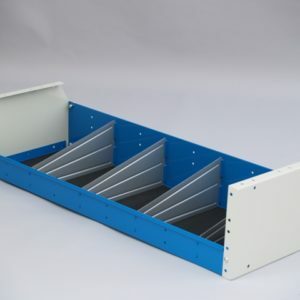 Canister racks Specially designed shelves for the safe transport of oils, fuels and other liquids in your van. 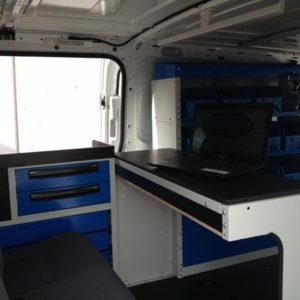 Most customers ask to have their vans fitted out as mobile workshops because they need to work on remote sites or at their own clients’ premises. 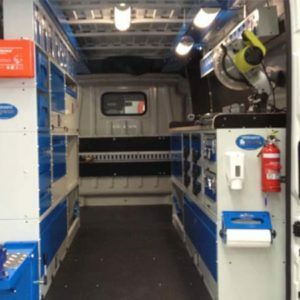 Many are service technicians, electricians, painters and the like while others are mechanics specialising in trucks, buses, tractors and industrial plant. 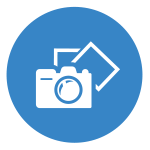 Carrying liquids in your van: no problem for Syncro! 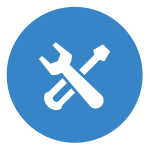 In addition to the generic needs listed above, customers also present Syncro System with a wide range of special requests. 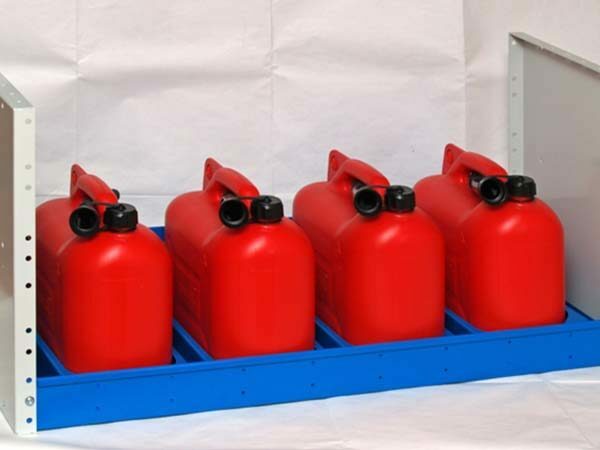 One of these is to be able to carry liquids – not just water but oils and fuels too. 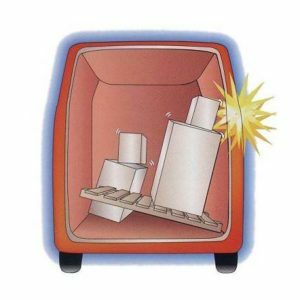 The main concern is to stow such substances safely and to prevent spillages that could prove hazardous, not only because they would make the van floor slippery but also because they could lead to a fire in a collision. 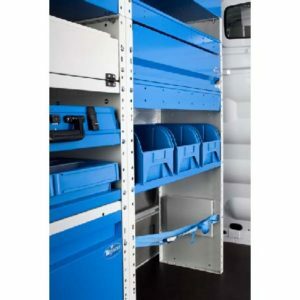 Syncro’s answer to this problem comes in the form of dedicated canister racks, high strength steel structures that look like simple shelves from a distance but contain individual compartments for securing from 2 to 6 liquid canisters. 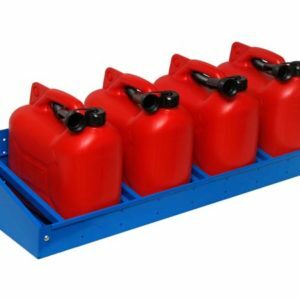 Syncro canisters are made from special, high density plastic, have a capacity of 10 litres each and come complete with a cap and a detachable spout. 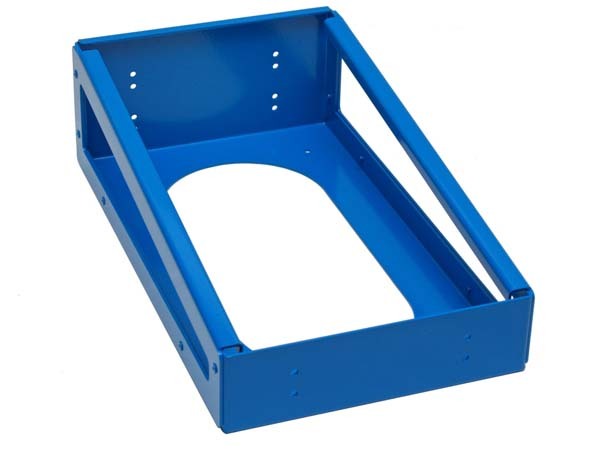 They fit neatly into the compartments in the rack and can be locked in place from beneath. 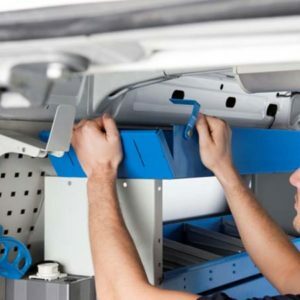 The bottom of the cabinet installed immediately above the rack provides added security for the canisters in the event of an upward jolt. 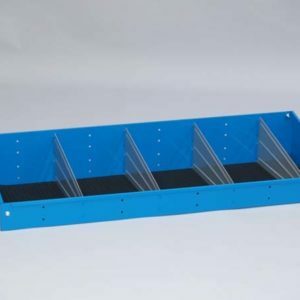 Syncro System supplies canister racks in 10 different sizes, capable of holding between 2 and 6 canisters. 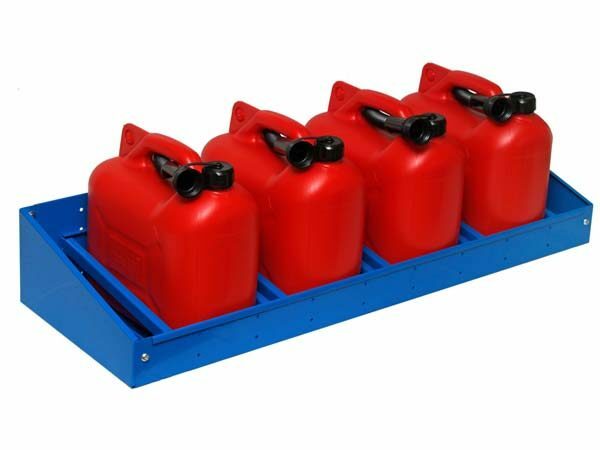 If you choose our 20 litre painted metal canister, we can provide a single holder designed especially for it, made in high strength steel. 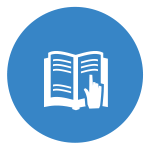 For customers who need to carry larger volumes of liquid, we can install a stainless steel tank with two separate sections of 30 and 40 litres respectively, both with taps and level gauges. 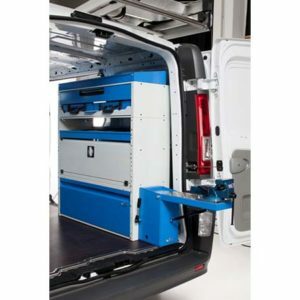 Even this large accessory can be integrated in your van’s racking system in a way that makes the best possible use of space.